A guide from Far and Wild Safaris will collect you from your overnight accommodation or from the King Shaka International Airport in Durban and travel on the edge of the "Valley of 1000 Hills" and then past the capital city of Pietermaritzburg onto the "Midlands Meander". The Midlands Meander is what weavers, potters, woodcrafters, leather workers, artists, metalworkers, box makers, herb growers, cheese makers, beer brewers and pianos have in common. You will find them all, and a great deal more on the Midlands Meander map - South Africa's first, largest and most popular art and crafts route. From a very small beginning, the Midlands Meander has grown to well over a hundred stops on four routes. Originating with the arrival of the first settlers in the early 1800's the area boasts many wonderful homes and barns, an attraction to lovers of architecture. As you tour the Midlands Meander you will also notice that this area is home to a number of the country's most famous schools. Upon departure, we may also visit the nearby Kwa Cheetah Breeding Project. Kwa Cheetah plays a large role in the rescue and release of other animals and smaller cat species, these include the likes of Serval, African Wild Cat, Meerkat and some other orphaned or injured animals. These are all raised and released onto the reserve. Kwa Cheetah allows only one public interaction per day as not to put any unnecessary stress on their animals, and this facility is not open every day of the week. 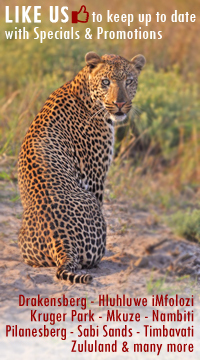 These interactions include an educational talk exposing guests to the vulnerability of cheetahs and their future plight - guests get the chance to see their cats run in the running area and of course get to interact with most of the cats.